David has been restoring and maintaining the ponds at Ka‘ūpūlehu since 1990. He has a Master Degree in Geography, specializing in Coastal Ecology and Aquatic Resource Management. Initially brought on as a consultant twenty years ago, David has since built a remarkable natural filtration system, which preserves our ponds natural resources. 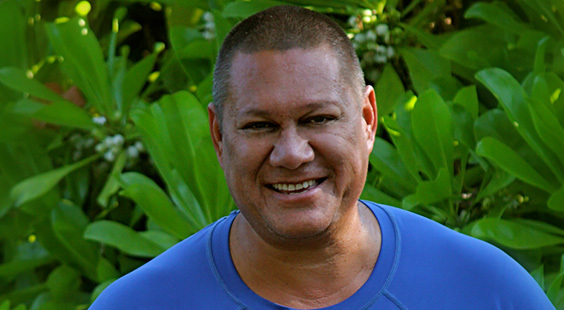 He also received the notable Environmental Protection Agency award for his involvement in the Pūnāwai Lake here at Hualālai (macron over the second “a”) Resort located on the Ke’olu Golf Course and his contribution to Hawai’i Island oceanology has been widespread, consisting of student training programs and development of management plans for our coastal communities. Chai, is part Hawaiian and a trained scientist, but what makes his work a specialized endeavor is the community-wide focus and culturally based sensibility he brings to it. The coastal waters at Ka‘ūpūlehu were once famous for moi, he’e (octopus), and large gatherings of opelu (mackerel scad). These fisheries have been depleted by unrestricted fishing. To revive them Chai has been working with cultural and community groups, conservation agencies, landowners and other resorts up and down the coast, conducting fish counts, replenishing fish stocks, restoring ponds, and developing an area-wide marine resource management plan. Nicole was born and raised on the island of Moloka’I, which instilled in her a love of nature and passion for the ocean at a very young age. She always knew that her professional path would be inspired by her connection to the sea and the animals that she grew up with as a child. Being one with nature and its inhabitants are a necessary way of life for Nicole. As a graduate of the University of Hawai’i at Hilo, she has a Bachelor of Arts degree in Marine Science. She also has a Master’s Degree in Education from Concordia University. Nicole has been involved in the Pacific Internship Program for exploring science and the Pacific Aquaculture and Coastal Resources Center doing research. Her main focus at Hualālai Resort centers around educational outreach; designing lesson plans for schools and arranging site visits to the property. She also assists teachers with hands-on science base activities, providing graduate and college students with access to use the property for science related projects or internships. Nicole continues to increase her knowledge of our natural ecosystems by learning more about the animal care and therapy that affects the environmental balance of her surroundings. 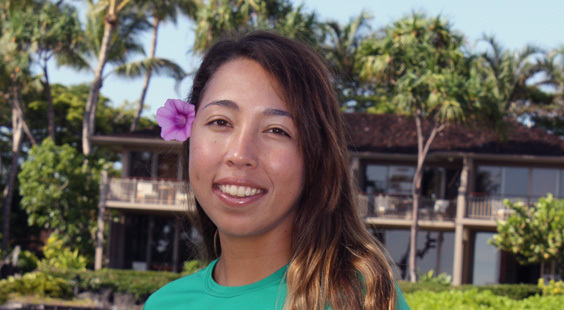 Her enthusiasm for animals and their habitats, makes Nicole the ideal candidate to protect the wildlife here at Hualālai and provide continued education to all its visitors. Chris, who is part Hawaiian, follows in the footsteps of his grandfather, a lawai’a and mahi’ai (fisherman/farmer). Through the knowledge inherited by his local ancestry, Chris has cultivated a deep respect for the ‘āina (land) and the abundance of sea/farm to table nourishment it provides. His understanding of traditional Hawaiian methods include fishing and planting, based on the moon phases. He has passed down these techniques to his children, so they too can teach their kids the value of traditional Hawaiian practices when relating to our ecosystem. Chris believes that meaningful experiences are what help you make choices that direct your life’s path. “These choices will influence the future,” he says. 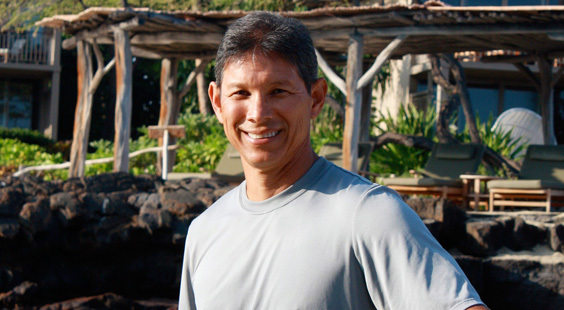 Chris has been at Hualālai for over a decade. His focus is to maintain the ponds and the marine life that inhabit them. As a Natural Resource Specialist, he shares his knowledge with all who are interested. Believe it or not, Melissa’s passion for marine life was influenced by her childhood fish tanks, which first exposed her to the beauty of fish and the essence of how they lived. 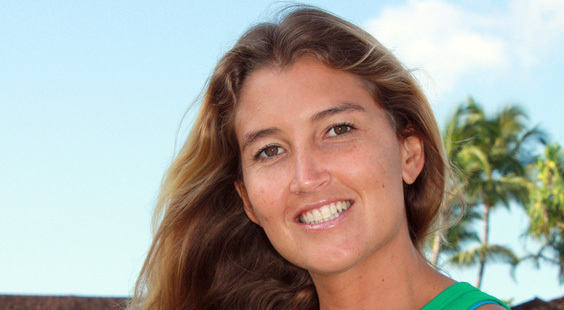 Melissa grew up in South Africa and later moved to California before attending University of Hawai’i at Hilo, where she realized that oceanography was her path. She learned of the methods utilized in ancient Hawaiian culture (kahiko) and what they did to preserve ocean life. This encouraged her to learn more about her craft and to educate the community regarding all of its hidden treasures. You’ll be awed by the “fun facts” Melissa shares on an ecological adventure of tide pools and/or remote anchialine ponds via her personalized tour. Melissa’s appreciation for the ocean ripples into her everyday life as she also enjoys surfing, scuba diving and snorkeling. Kelsey is originally from Idyllwild, California, and moved to Hawai’i in 2007 to attend the University of Hawai’i at Hilo where she graduated with a Bachelor’s of Arts degree in Marine Science. Her affinity to marine life was sparked by a visit to her favorite Aquarium at Monterey Bay and was further ignited by caring for her pet fish growing up. During her college career, Kelsey interned at the Pacific Aquaculture and Coastal Resources Center in Hilo, working with octopus and a few other marine species. From this experience, she rechanneled her interest in Marine Science toward sustainable aquaculture and the importance such studies has had on Hawaiian history. Post-graduation she took a job at a commercial scale mariculture facility in Kona as a technician, cultivating marine organisms for food and training in husbandry. 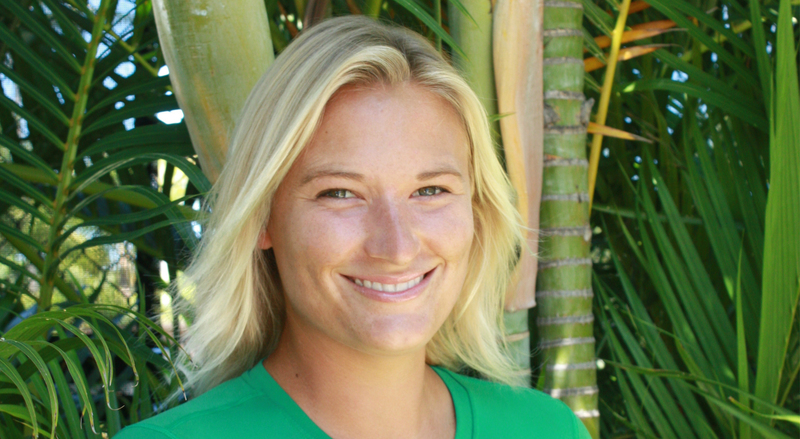 Kelsey is an avid outdoorsman and when not here at Hualālai, she revels in the pursuits of happiness bestowed by island life; such as, snorkeling, hiking, scuba diving and fishing… always trying to learn something new. Originally from Pasadena, California, Lauren always could be found in the ocean, which was the first place her parents could always find her. She learned how to scuba dive at 12 years old here in Kona and that’s what started her path as a biologist. Graduating from Humboldt State University in the foggy redwoods of Northern California with a Bachelor’s of Science in Marine Fisheries Biology and a minor in Scientific Scuba diving. In college she spent most of her time exploring marine science and conservation by volunteering weekends to conduct underwater surveys of marine flora and fauna. She knew it so well she trained fellow divers all over the Northern California coast. Scuba was another passion of Laurens. She worked 3 summers at a children’s marine science camp in Catalina Island teaching youth how to scuba dive. Shortly after graduating she moved to Kona and began working with a commercial Mari culture company as a hatchery technician and furthered her education and experience in sustainable aquaculture. In her spare time she surfs, kayaks, dives, snorkels and hikes with her two dogs.